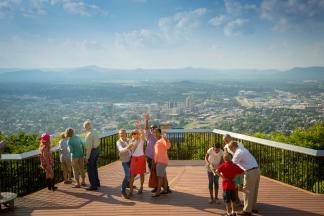 Virginia’s Blue Ridge is as well known for its rich history as it is the mountain views. Historic Main Streets dot the landscape. Birthed at the crossroads of emerging travel and developing industries in the late 18th and early 19th century, the promise of economic prosperity called many to blossoming towns throughout Virginia’s Blue Ridge. Of the many Must See Main Streets enjoyed then and still today, the connection to the region&apos;s rich history may be no more evident than in the small town of Buchanan, Virginia. Surrounded by the natural beauty of the Blue Ridge Mountains, Buchanan enjoys a rich two hundred year history that begs to be explored. One stroll down Main Street and you’ll discover a vibrant downtown where historic storefronts display local handcrafted goods, and outdoor adventure is only a stone&apos;s throw away 365 days of the year. 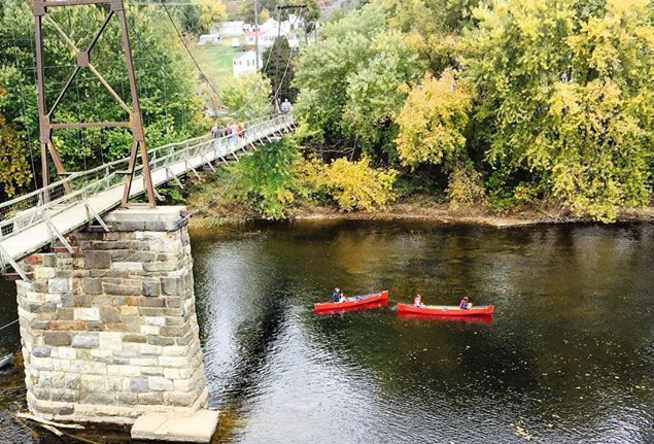 Whether you are antiquing along Main Street, paddling down the James River, exploring Civil War history, hiking the Appalachian Trail or pedaling the U.S. Bicentennial Bicycle Route, you will find yourself immersed in natural beauty and history. Long recognized as the principal crossing of the James River via the “Great Valley Road” and other regional transportation networks since the 1700s, the Town of Buchanan was officially laid out on the south bank of the James River in 1811. The town was named in honor of John Buchanan, who held the original title to the land. Plats of Buchanan in 1811 and Pattonsburg (later incorporated into the Town of Buchanan) established a grid of streets and lots that to this very day conform in large part with the current tax maps. As was common to many small Virginia towns, Buchanan’s growth was interrupted by the Civil War in the 1860s and continued to decline after the war due to newly constructed rail in neighboring communities that quickly transitioned the James River into an outdated means of transport. By the 1900s however, railroad lines began hauling heavy freight into and out of the town, and by 1920, railroad employees outnumbered self-employed artisans. As the 20th century waned on, Buchanan began to see the same physical and economic decline witnessed by small, textile driven towns throughout the south. However, area leaders were quick to reinvent the town’s economy with a concentration on Historic Preservation. Since its inception, the town’s downtown revitalization efforts have earned the community many awards, including “Best Downtown Initiative Award” from Valley Conservation Council, “Good Neighbor Award” for leadership in historic preservation from Roanoke Valley Preservation Foundation, Tree City USA designation, Urban Forestry Award from the Mountain Castle District Virginia Soil & Water Conservation District, and “Best Community Event” by readers of the Roanoke Times Botetourt View. Buchanan was the birthplace of famed author and well known feminist Mary Johnston. Born on November 21, 1870, Mary is one of the town’s most notable citizens. She was a novelist, historian, playwright, social advocate and the first female novelist to hit the New York Times bestseller list. In addition to all this, Mary Johnston was a pioneering feminist and champion of the Women’s Suffrage Movement. Placed on the National Register of Historic Places by the United States Department of the Interior, the Buchanan Theatre has been recognized as Botetourt County&apos;s oldest standing theatre. The theatre first opened as A.E. McCurdy&apos;s Open Air Theatre. McCurdy&apos;s was purchased in 1914 by Elmer Shank. Shank and his family cut all the lumber themselves and completed construction of the current theatre building in 1919. Step back in time inside the Buchanan Fountain & Grille. Located across the street from Buchanan Theatre, the restaurant operates within the original 1940s Ransones Drug Store. Introduce your children to an authentic soda fountain experience with the Grille’s shining tile floors, streamline art deco fountain and early advertising memorabilia. Twin River Outfitters offers fun and safe river trips that range from relaxing floats to whitewater paddling experiences with true mountain views. Featuring a variety of single day and multi-day river based camping trips, Twin River Outfitters is the oldest and most experienced outfitter operating on the Upper James River and has safely organized paddle trips since 1978. In the 1850s, a stroll across one of Buchanan’s most recognized architectural structures would have cost you 5 cents (and 5 cents more for your horse), but today the Buchanan Swinging Bridge is free and open to the public. At 366 feet long, 57.5 feet tall and the only one of its type to cross the James River, this truly unique stop in the historic Town of Buchanan should not be missed. Since the 1700s, the Buchanan region has served travelers well and the Town of Buchanan remains dedicated to ensuring every visitor experiences the southern hospitality and memorable experiences that men, women and children have enjoyed for two centuries. 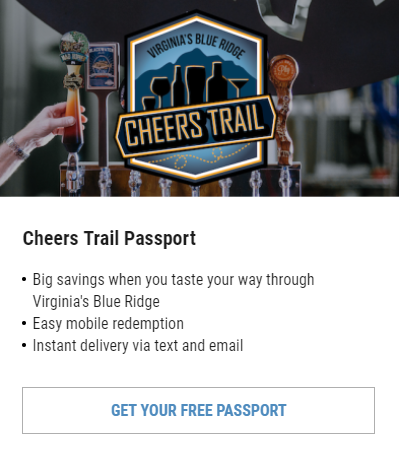 Click here to discover more about our local cities and communities and subscribe to our monthly e-newsletter to keep up with exciting new features and upcoming events in Virginia’s Blue Ridge! Header photo courtesy of Twin River Outfitters.